Zack Snyder's Batman v Superman: Dawn of Justice has created its fair share of controversies as its moved through pre-production and filming, but one of the most interesting points of contention between the fans and the film has been the casting of Fast & Furious star Gal Gadot as Wonder Woman. Since her introduction, the character has been drawn as being tall and incredibly muscular, and outraged potential movie-goers were quick to point out that the Israeli actress is only 5'10" (a good deal shorter than both male co-stars, Henry Cavill and Ben Affleck) and had a light frame when she signed on. As it turns out, fanboys aren't the only ones upset, however - the sentiment is also shared by a muscly actress would would have preferred the role go to her. "They're making a Wonder Woman right now, aren't they? I should have been Wonder Woman. That girl couldn't curl a two-pound weight. What's so wonderful about that? I don't understand." What adds a little twist to this story is that both Gadot and Rousey have some shared franchise history. The former spent a number of years as part of the Fast & Furious crew playing Gisele, and while she was written out of the story after Fast & Furious 6, Rousey will now be playing one of the main female characters in Fast & Furious 7. It's probably a good thing that they're not going to be spending any time on a set together any time soon. Post by ‎Gal Gadot - ?? ????‎. 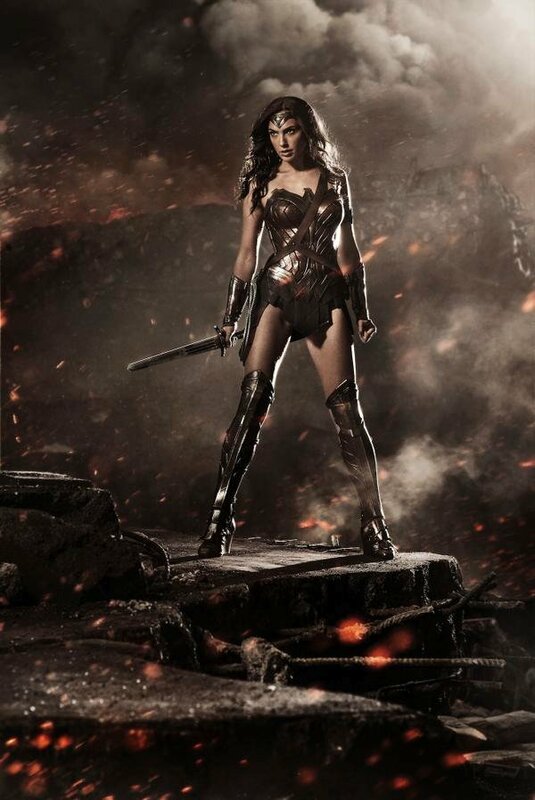 And it's pretty hard to deny that she looks badass in the Wonder Woman costume. We expect Gal Gadot-related Wonder Woman debates to pop up regularly between now and Batman vs. Superman's release in March 2016, and really the only thing that will settle things is actually watching the movie and seeing how she performs.